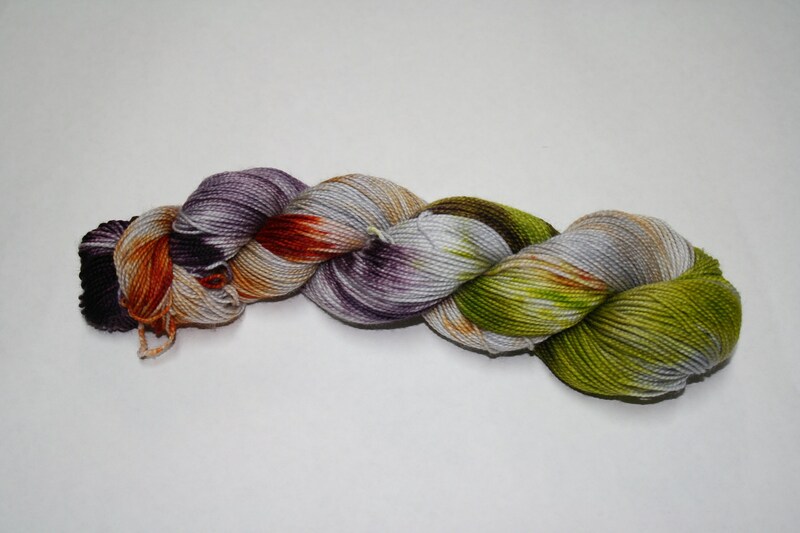 This hand dyed yarn has a grey base with splashes of orange, green, and dark purple. This yarn is dyed to order and the color placement may vary slightly from the picture but will have the same colors. Please allow up to 4 weeks for dyed to order yarns but they usually ship quicker.